Buying a Home in SUMTER, LAKE, MARION, ALACHUA, ORANGE (The Villages, Ocala, Orlando, Lady Lake, Mount Dora, Gainesville, Newberry) County? Why you need a visual Comprehensive Home Inspection? The inspection is a visual analysis to detect major defects and deficiencies associated with the property on the time and day of the inspection. The process can be stressful. A Comprehensive Visual Home Inspection is supposed to give you peace of mind, but often has the opposite effect. You will be asked to absorb a lot of information in a short period of time. 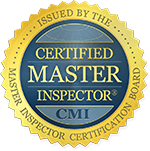 This often includes a comprehensive written Home Inspection report, punch list, digital photographs, environmental reports, and what the Home Inspector himself says during the Home Inspection. All this combined with the seller's disclosure, county records, utility companies, appraisers, mortgage companies and what you notice yourself makes the experience even more overwhelming. What should you do? 3. Things that may hinder your ability to insure or occupy the home. 4. Safety hazards, such as an exposed live buss bar in the electric panel. Anything in these categories should be addressed. Often a serious problem can be corrected inexpensively to protect both life and property (especially in categories 2 and 4). Most sellers are honest and are often surprised to learn of defects uncovered during the inspection. Realize that the sellers are under no obligation to repair everything mentioned in the Home Inspection report. The home inspection process is non-destructive, and is generally non-invasive. It is performed in this manner because, at the time we inspect the dwelling, you do not own the property. You cannot authorize the disassemble or destruction of what does not belong to you. How do I know if MOLD is growing in my home? Should I get the MOLD tested to find out what kind it is? If you can smell a musty odor or see mold, you have a mold problem. Reliable sampling for mold can be expensive since it requires special equipment and training. Testing is not generally recommended as a first step. If you feel or smell musty odors indoors, if your property have experienced a roof water leak, plumbing water leak or a flood past or present then mold testing is warranted. 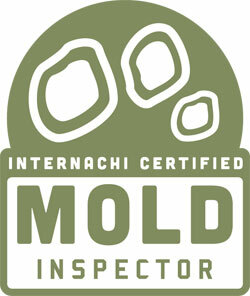 HOME INSPECTOR USA offers free Mold screening when conducting a comprehensive home inspection. If there is an indication of active organic microbial present during the visual home inspection, the inspector will be recommending testing (Air, Bio-tape, or Swab) to determine the concentration of organic microbial spores present. This process will take several days since samples will have to be taken, cataloged, sealed and FedEx to a certified laboratory for analysis. 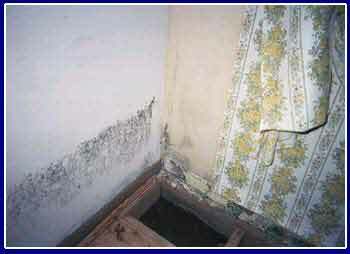 Molds are usually not a problem indoors, unless mold spores land on a humid or wet surface and begin growing. Molds have the potential to cause health problems. Mold produces allergens (substances that cause allergic reactions), irritants, and in some cases, potentially toxic substances (mycotoxins). Inhaling or touching mold or mold spores may cause allergic reactions in sensitive individuals. Allergic responses include hay fever-type symptoms, such as sneezing, runny nose, red eyes, and skin rash (dermatitis). Allergic reactions to mold are common. They can be immediate or delayed. Molds can also cause asthma attacks in people with asthma who are allergic to mold. In addition, mold exposure can irritate the eyes, skin, nose, throat, and lungs of both mold-allergic and non-allergic people. Symptoms other than the allergic and irritant types are not commonly reported as a result of inhaling mold. “Construction”: Homes often have areas or systems that do not comply with current building codes. While this visual inspection makes every effort to point out safety concerns, it does not inspect for building code compliance. It is common for homes of any age to have had repairs done, and some repairs may appear less than structural from the standpoint of how it has fared through the years with the materials that were used. You can expect problems to become apparent as time passes. The inspector will not be able to find all deficiencies in and around a property, especially concerning construction techniques of the past. "Ongoing monitoring": Your inspection is like a “snapshot” of the property’s condition on a specific date and time. Those conditions will change, so you need to keep inspecting your property during the time you own it. Verify that the air conditioning condensate water is draining properly to the exterior after operation on a hot day. Verify that the performances of the HVAC systems are adequate. Verify that the dryer vent is exhausting properly. Verify that the gutters and downspouts are performing during a hard rain. Verify that no water is ponding on the property after a hard rain. Verify that no dimming or flickering of lights occurs. Verify that no repeated resetting of any circuit breakers is necessary. Verify that the quantity of the hot water supply is adequate. Verify that no leaking is present in the attic area during a hard rain. Inspect any of the other concerns that were mentioned in this report. Keep in mind that there is no guaranty or warranty on any items inspected or not inspected. Any component part of any system can randomly fail at any time. Therefore, we can only report on its condition at the time and date of the inspection so you must continue monitoring. "The Villages, Ocala, Clermont, Orlando, Micanopy, Lady Lake, Leesburg, Mount Dora, Eustis, Crystal River, Inverness, Gainesville, Newberry and surrounding cities"
IT'S NOT NECESSARY TO LEAVE YOUR COMPUTER TO CALL FOR A HOME. MOLD OR A COMMERCIAL INSPECTION, SIMPLY "CLICK BELOW" AND SEND YOUR PHONE NUMBER TO MY CELL PHONE... I'LL CALL YOU WITHIN MINUTES.